Recovering the seat of an antique chair is far less difficult than it seems. With just a few basic tools, even materials that seem difficult to work with can be easily replaced. Understanding that most upholstered wooden chairs are easily disassembled makes this project much less daunting. The use of natural materials, such as cowhide, is really no more difficult than heavy upholstery cloth and helps to retain that vintage look. Reupholstery of antique chairs breaths new life into a piece of well-used furniture. Turn the chair over and remove the screws holding the seat to the frame. Remove the old cowhide seat cover by loosening and removing any upholstery staples. Note the way in which the material is folded around the edges of the seat. 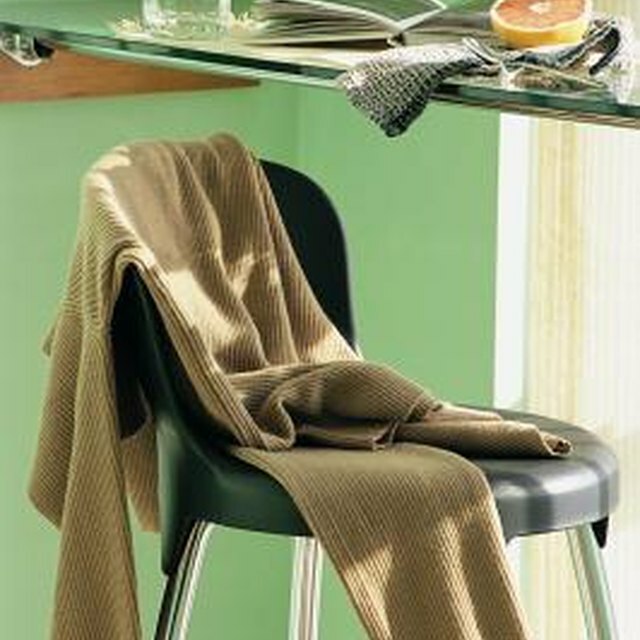 Spread the new cowhide material out on a flat surface, wrong side up, removing any wrinkles from the fabric. Lay the original seat cover out, wrong side up, on top of the new material as a template. Place short strips of masking tape along the edges of the seat cover to prevent the materials from shifting. Carefully cut around the seat cover with very sharp, heavy scissors. Place the new cover on the chair seat in the same manner as the original, folding the material carefully around the edges. Attach the new seat cover to the seat frame with upholstery staples and staple gun. Staple the material to the underside of the seat. Start at the front of the seat and work down both sides keeping material taut. Finish by stapling the back edge of the material to the seat so the material is tight and has no wrinkles. Place the seat onto the chair frame and reattach with screws. Do not overtighten to avoid stripping the pilot holes.